McCoy and Mills Ford is your leading Southern California Ford Dealer In Fullerton. We provide a fantastic selection of new and used Ford vehicles for you to choose from, all specially priced for you to save money. Stop in today and check out our great inventory. 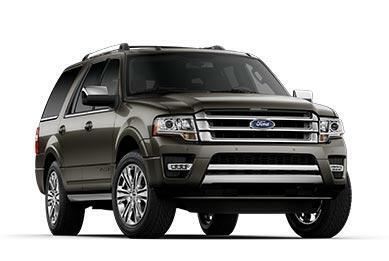 Looking for a SoCal Ford Dealer In Fullerton will lead you to McCoy and Mills Ford. We have an amazing selection and the prices you are looking for. Located in California’s popular Orange County, is the city of Fullerton, CA. This popular city offers some of the most family-friendly activities you can expect and with your leading Southern California Ford Dealer here in Fullerton we are here to help you find the ideal Ford vehicle to help you enjoy each of these activities. Located less than 15 minutes from your Fullerton Ford Dealer is every parent and child’s ideal place to enjoy away from all the hustle and bustle of everyday life. Can you imagine loading your entire family into the all-new Ford Escape to enjoy a day at a place that our friends at Plan A Day Out remind us is the ideal place to enjoy picnics by tranquil streams, explore both wildlife and plant life native to both Southern and Northern California as well as a Children’s Garden that even includes daisies that smell like actual chocolate? This unique nature preserve even gives you a chance to take part in one of a kind culinary class series taught by some of the area’s leading organic chefs. If your family is more the active outdoorsy type, load everyone and their bicycles into the earth-friendly Ford C-MAX to take a short drive to Laguna Lake Park. This 20+ acreage park not only features some of the best bike trails in the area, but also offers nature lovers the opportunity to enjoy a picnic just below this park’s dam area or even cast a line for rainbow trout or catfish. What better way to spend an unforgettable day with your entire family than to enjoy a magical day with Disney. Also located a short distance away from McCoy Mills Ford is Anaheim, CA’s unhidden treasure – Disneyland. We are here to help your entire family into the spacious and technology savvy Ford Explorer to enjoy a day in California’s own Magical Kingdom, which offers the opportunity to explore exotic jungles, meet fairy-tale princesses, dive under the ocean and rocket through the stars—all in the same day. Of course, you will need enough cargo space for all your children’s newest park treasures. Thanks to the Explorer’s available 81 cu. ft. of cargo room, Mickey and all his new stuffed animal friends will also make it home safe and sound.